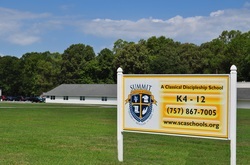 Summit Christian Academy seeks to glorify God in all we do at school. One significant way is the decision to wear school uniforms. Beyond the immediate benefit of simplifying the morning routine of what to wear (as voiced by many of our Summit parents), there are intentional reasons we have chosen to implement school uniforms. We genuinely care about each student and want them to experience less of the influences of the world and more of the unity found in Jesus. 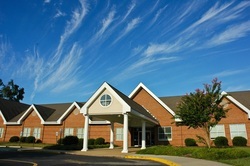 Because there is a sense of visible oneness, uniforms help us to focus on the inward beauty and individuality of others. Above all though, wearing uniforms allow students to honor one another in a manner that is respectful and consistent. Phil 4:8-9 "Finally, brothers, whatever is true, whatever is honorable, whatever is just, whatever is pure, whatever is lovely, whatever is commendable, if there is excellence, if there is anything worthy of praise, think about these things."